Welcome to the Dignity Restored Website! Dignity: To be given honor and respect by people; a sense of ones own importance and value. Restored: A bringing back to a former position or condition; reinstated; restitution; a restoring to an unimpaired or improved condition, e.g. the restoration of a painting. What incredible words! They reflect some things that I have carried in my heart for many years, having been involved until quiet recently in a residential Community for prayer and reconciliation in Ireland. During that time I wrote a book entitled "Heal Not Lightly" which examines some of the spiritual roots of Ireland's painful history and how they still affect us. "Like most journeys in life, our tomorrows are, all too often, connected to our yesterdays!" Like most journeys in life, our tomorrows are, all too often, connected to our yesterdays! That is most certainly current for me - together with my wife Dorothy, we have been on a journey as we have sought to be a part of God's healing and redemptive purposes for Ireland. Somehow or other, He is also aligning us into those same purposes for Native Americans. 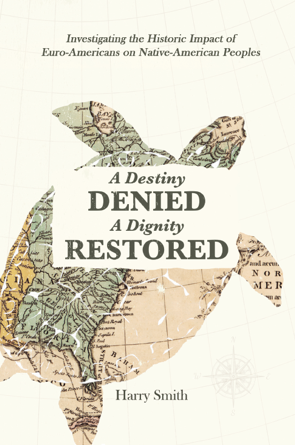 As a result, I am in the process of writing another book, to be called "A Destiny Denied, A Dignity Restored". 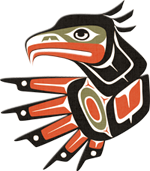 In it, I am seeking to bring something of an understanding regarding the negative consequences on the indigenous people, through exporting some of that pain from Ireland to North America. Primarily, the two issues mentioned above. I have been finding out during my research for both of these books, that they are all too painfully intertwined. Yet, over and above the pain is hope. I am convinced that God is increasingly in the business of restoring the dignity of His name throughout the earth in these days. Central to that is the issue of reconciliation � between people with God and each other - with the high priority of restoring the dignity and destiny of His body, the Church - his messenger! My remit is related to four people groups: the Irish Catholics and Protestants and the Native and White Americans. This magnificent bird has always been a powerful image for me, as it is for many in the USA - even though it has been extinct in Ireland until it's recent reintroduction. God, our Creator uses it in the words above, to speak to us. He speaks of strength from Him for the journey. How we need that, especially on the journey of reconciliation. Otherwise we can all too easily "lag behind"!! I don't want that, I want to live my live in pace with Him. He is calling us in these days to walk with Him, to be His healers - healers of our wounded histories!! Won't you join us on the journey? 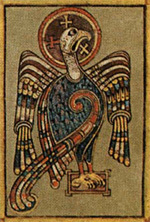 The two iconic images on this page depict eagles - one is a symbol of the Apostle John from the Book of Kells, Ireland, and the other is a significant image for the Native American people. Both in different ways represent among other things, the Creator communicating with man.